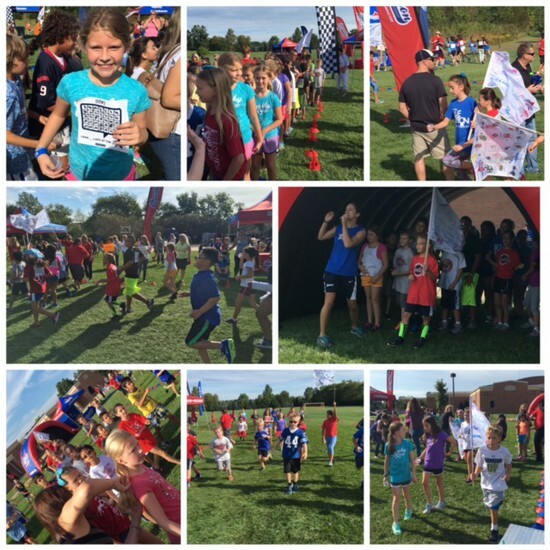 The Rocket Run was a blast! We are so appreciative of the PTO for all their hard work, the parents who came out to support us on Thursday, and all the friends and family members who donated! We can't wait to share with everyone all of the wonderful things that the students get to experience thanks to the generous donations! On Tuesday the Minnetrista Theatre Preserve came from Muncie to present a play about bullying. It was a great performance and the students were fortunate to participate in such a great learning experience. This connected very well with the book we finished the previous week, and we had some great discussions about being kind to others and the fact that we don't know the challenges and struggles that people face. We also talked about working together as a team, our class mission statement and fair vs. equal. I am really excited to see how our classroom community grows together this year and how we all become better people in addition to our awesome academic growth! There is another Book Order coming home tonight! :-) If you visit https://clubs.scholastic.com/ our class code is Q6BTZ to order. I will close out the current orders next weekend, so please have any orders in by 9/23. 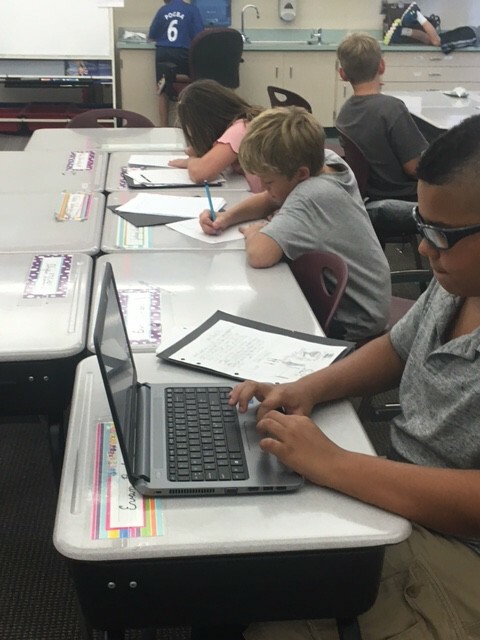 Since some of us rotate classes for Math, we will continue to send home individual homework assignments each day for math. However, our class is going to try out something different this next week. TODAY, I am sending home a Language Arts homework packet that is to be turned in by next Friday, Sept. 23rd. This packet includes spelling practice, a reading log, and a reader response activity. There will often be an additional activity asking students to practice skills and strategies we've been learning in class. For next week, students will practice working with Independent and Dependent Clauses. *One of the Word Work options includes using Spelling City. I've finally figured this out :-) You can visit my teacher page to have access to the Spelling List for the week, as well as the vocabulary words we are working with in Reach. 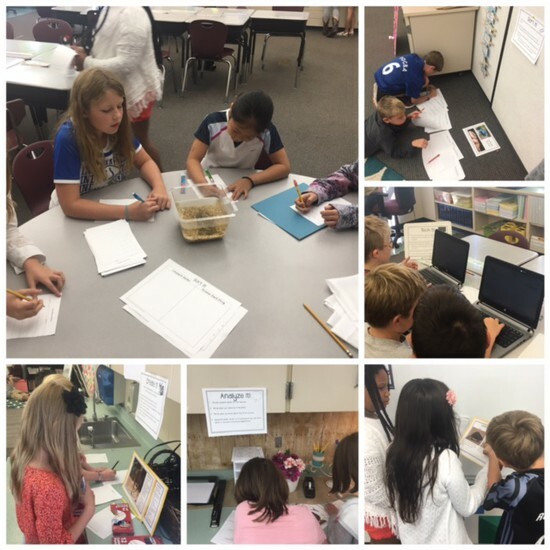 The schedule was a little crazy, but we met in small groups this week! We've been focusing on looking closely at text, finding evidence and understanding characters. 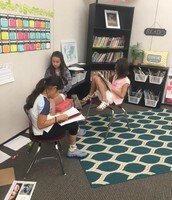 Making connections with words was a new technique for Word Study this week and we talked about Dependent and Independent Clauses with grammar! 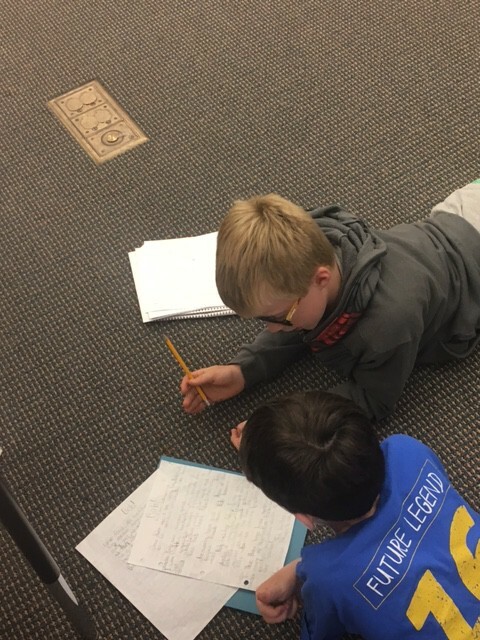 Our fiction pieces are coming along wonderfully, and we worked a lot on editing and revision this week. We will be finishing up our final presentations of our first pieces during next week's Writer's Workshop block. 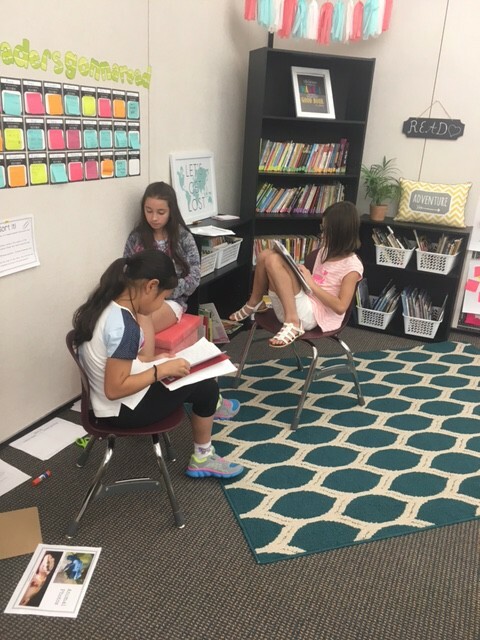 We are still trying to figure out the best structures and arrangements for our class literacy learning, but we are doing a great job of discovering what works really well for our community of learners, and what we need to keep trying on. 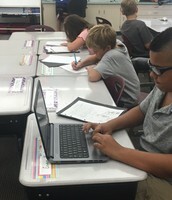 Ms. Thompson's math class finished up Unit 2 and took our test on Wednesday. 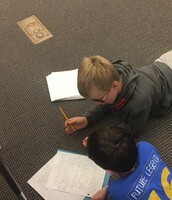 On Friday, we went over our responses and worked on anything that we had trouble with. Overall, I was very excited about how the students did! Next week, we will move on to Unit 3: Multiplication and Division. In Science, we continued learning about animal adaptations and observed our Dwarf African Frogs. On Friday, we learned about the Animal Adaptation mini-project we will be working on the first few days of next week.